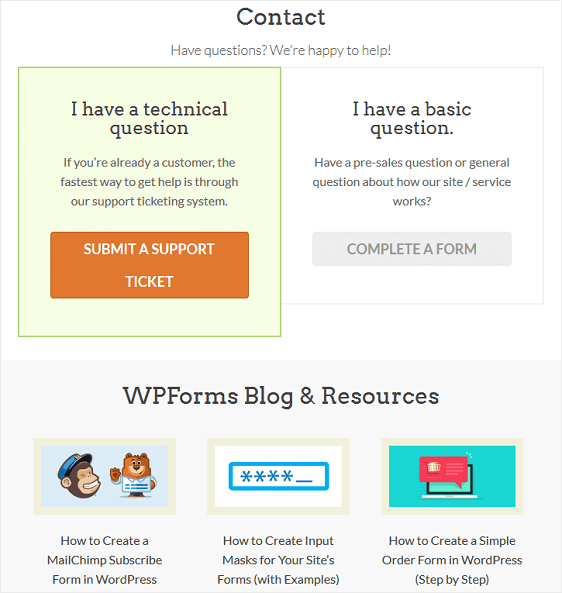 WPForms vs MailChimp Form Builder: Which One Should You Use? Are you looking to add a contact form on your WordPress website? If so, you might be wondering whether to use the popular contact form plugin WPForms or the MailChimp Form Builder that comes with your MailChimp account. In this article, we’ll compare both WPForms and the MailChimp Form Builder so you can decide which one is the better option for you. So, let’s take a look at each and see how they stack up against each other. MailChimp is one of the most popular and highly reliable email marketing services on the marketing today. So, it should come as no surprise that people using MailChimp to grow their email lists would think that using the built-in MailChimp Form Builder would be the easiest way to build contact forms on their WordPress sites. In fact, you can create signup forms, embedded forms, and subscriber popups right from your MailChimp account. You can also create a signup form using one of MailChimp’s integrations. Once on the form builder screen, you can choose from the types of forms or response emails you want to create before you actually build your form. 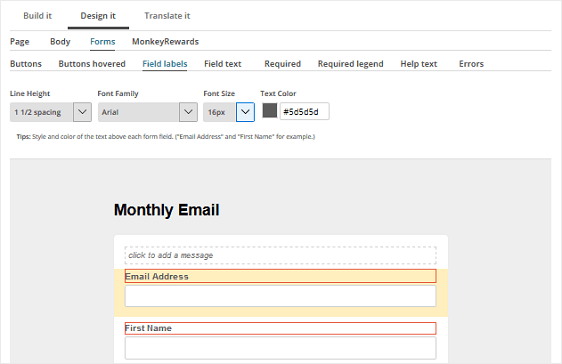 To customize your signup form, you’ll need to follow MailChimp’s progress bar, Build it » Design it » Translate it. Unfortunately, there are a limited number of form fields and the design section will apply all changes you make to your form to your other pages and response emails. Worse yet, according to MailChimp, customizing the style of your forms may require HTML experience or a developer or MailChimp expert. In addition, to embed the form onto your site, you have to experiment with the HTML code to make sure your form appears on your site the way you want it to. WPForms on the other hand, is a user-friendly WordPress contact form plugin that puts usability first so people of all skill levels needing any kind of form will be able to easily create, customize, and embed forms on their sites. 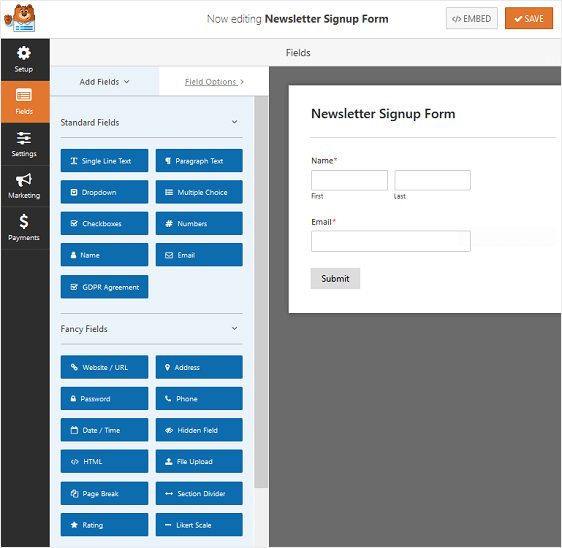 To start, several pre-made form templates are available to help you build all kinds of forms. For example, create a simple contact form, user registration form, poll or survey form, and even a donation form using the ready-made templates. From there, adding new fields, changing the order, and customizing them are all done using a simple drag & drop interface. No HTML skills are needed to design your forms and there are plenty of standard and fancy form fields to add. If you’re looking for a contact form plugin that’s easy to use, works right out of the box, and doesn’t require the help of a professional, WPForms is the way to go. 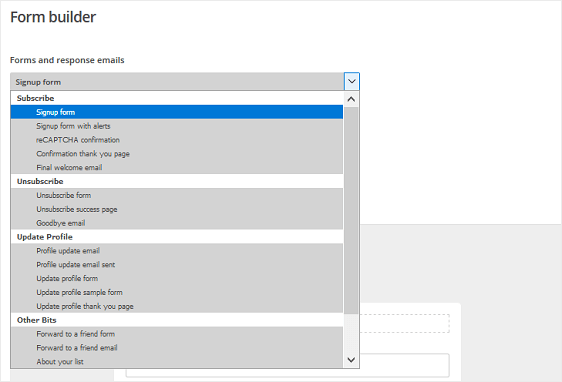 The MailChimp Form Builder offers very little by way of features, especially because most of the features you might want to add to your form require coding experience. That said, you can change some things using the Design tab in the form builder. For example, customize the font and button sizes, background and colors, and form field text. When it comes WPForms, there is no shortage of features. In fact, even WPForms Lite has more features than the built-in MailChimp Form Builder. If features are what you’re after, clearly WPForms is the winning option. If you have a free MailChimp account you’ll have zero access to email or chat support. In fact, you won’t receive any kind of support, save for the self-service Knowledge Base. WPForms on the other hand, offers a support ticket system for customers, plenty of in-depth documentation outlining how to configure settings, a regularly updated blog for tips and tricks, and official tutorials with step by step instructions so you always know what you’re doing. For times you need help, or want to learn more, take advantage of the exceptional support WPForms offers users. Both the New Business MailChimp Form Builder and WPForms Lite are free to get started. However, if you use MailChimp, and want to scale your business beyond that of 2,000 subscribers, no matter what solution you use to create your contact forms, you’ll need to upgrade your MailChimp account. This does not, however, upgrade the form builder. In fact, the form builder will remain the same no matter how much money you invest in your MailChimp plan. 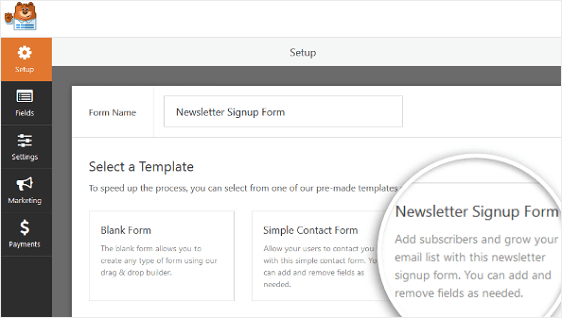 That’s why if you’re looking for additional contact form features, and still want to use MailChimp as your email marketing service provider, you should invest in the premium WPForms plugin and easily create beautiful, fully functioning, and unique contact forms throughout your WordPress website. Check out this tutorial on how to upgrade WPForms Lite to a paid license. There’s no denying that the MailChimp Form Builder can help you get functioning contact forms onto your website. And, since MailChimp is one of the most popular email service providers out there, it makes sense that so many people may question using a separate contact form plugin. However, as you can see, the MailChimp Form Builder doesn’t cut it across the board. This makes WPForms the obvious choice when it comes to WPForms vs MailChimp Form Builder. 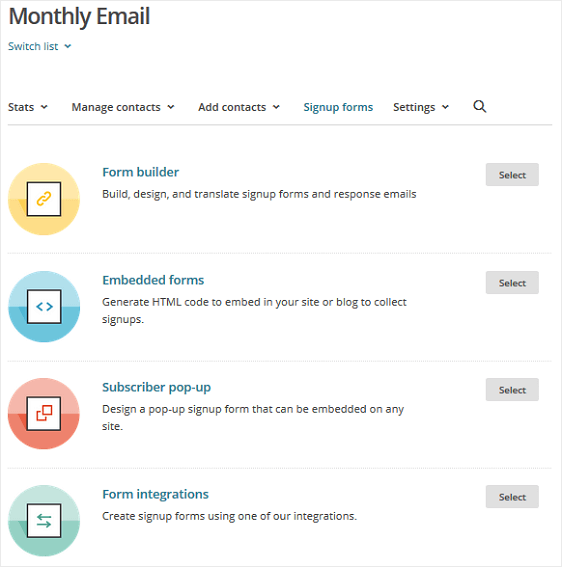 We hope this article helped you compare the MailChimp Form Builder with WPForms.